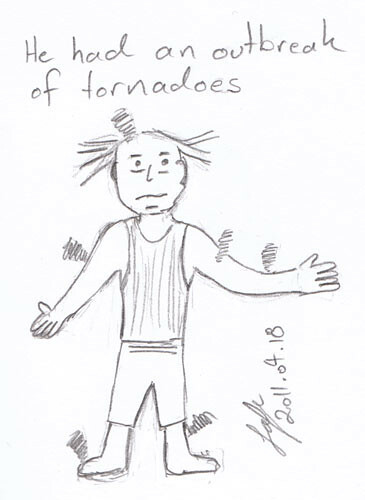 Drawn in response to a tweet by SBS news “The number of twisters from US tornado outbreak may be a record setter“, which makes the tornadoes sound like an infectious disease. Quick, send in Dustan Hoffman! This entry was posted in Comics, News and tagged cartoon, drawing, humour, SBS, sketch, tornado. Bookmark the permalink.